I’ve said it before and I’ll say it again: things change fast ‘round these part! Why just Saturday, the cool shade of the forest was a welcome relief from the heat of the day, and now today a flake or two of snow may be seen. The area of transition between the forest and the openings that surround the patches of the Big Woods was where I prowled. 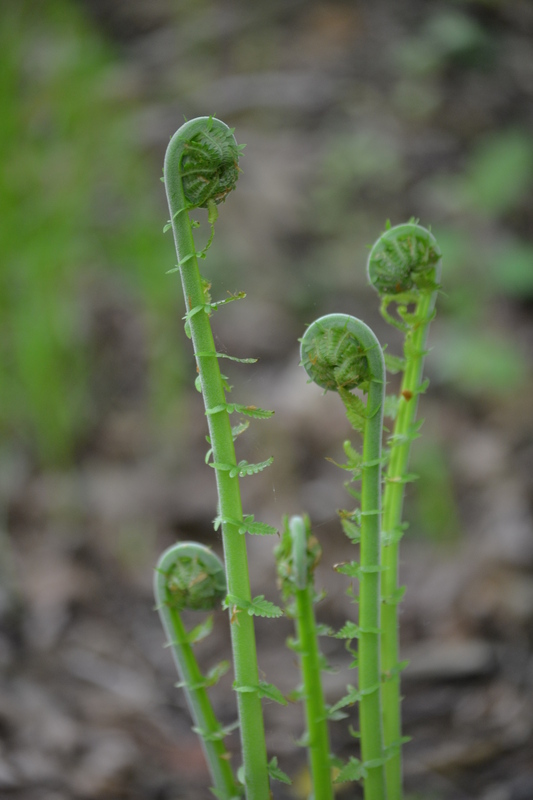 The cool wetness has allowed ferns frond to unroll themselves from their fiddleheads. 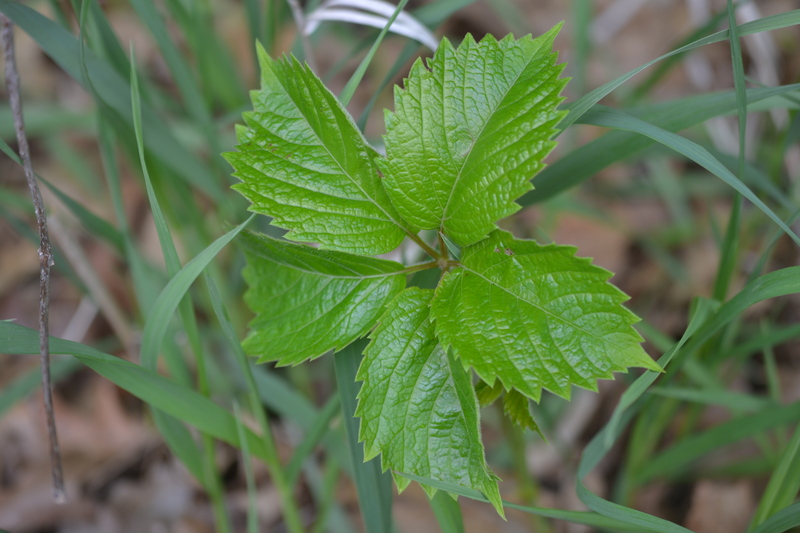 These new leaves are very tasty, too, with countless recipes for their preparation. Woodlands around the area, not the Arb itself, of course, offer a bounty of fresh greens come spring. Fiddleheads, ramps (which are a mild-flavored wild onion), Morels – these can be cooked and tossed with freshly made pasta for a delicious natural feast for H. sapiens in the know! Here at the edges some familiar plants offer some counting lessons. “Leaves three, let it be” is a mnemonic device children learn to avoid the itchy and painful results from brushing up against the leaves of Poison Ivy. It the oily urushiol that causes the burning. Its name comes from the Japanese urushi, a kind of lacquer. It is very potent – I brushed against a plant just for a second and felt it itch the rest of the day. The oily material makes the leaves look waxy, which I found on several other plants today. 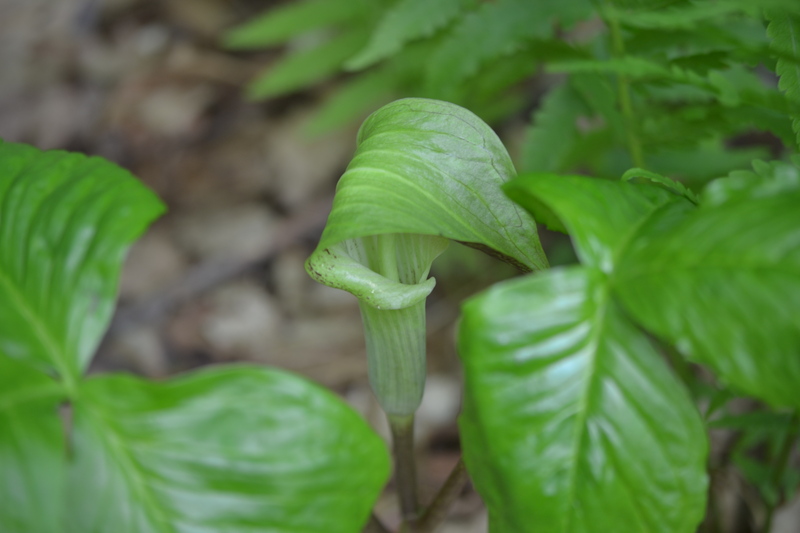 Another 3-leafed plant is Jack-in-the-Pulpit, which is poisonous, too, but in a different way. It contains calcium oxalate, which can form sharp needle-like crystals, which hurt when they poke – what a good defense against getting chewed! – along with causing a whole host of other symptoms. “Jack”, there, is a spadix, a spike covered first with tons of tiny male flowers, then with female flowers. In this way, the plants don’t fertilize themselves. 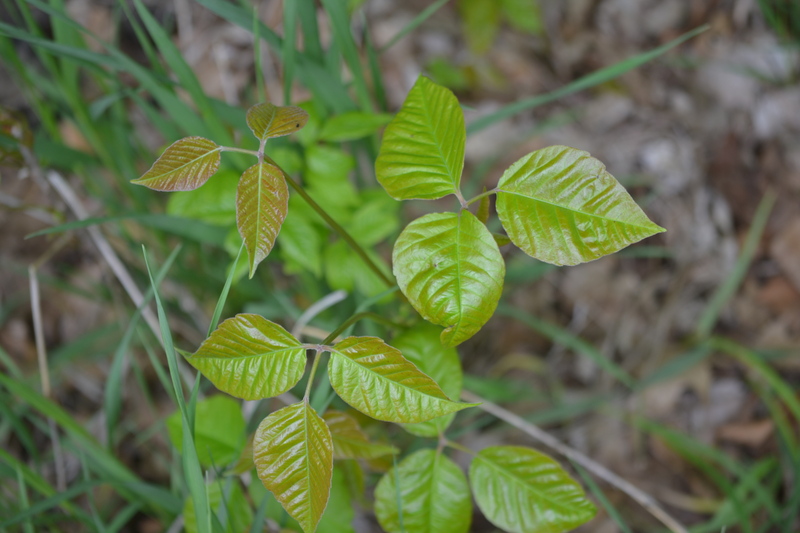 “Leaves five ain’t no jive” could be a new mnemonic for Virginia Creeper, since I just made it up, could be useful to help differentiate between it and Poison Ivy, both of which grow as vines up trees. Its species epithet tells it like it is: ”five leaves.” Yo! I notice that these leaves are also pretty waxy looking, too. 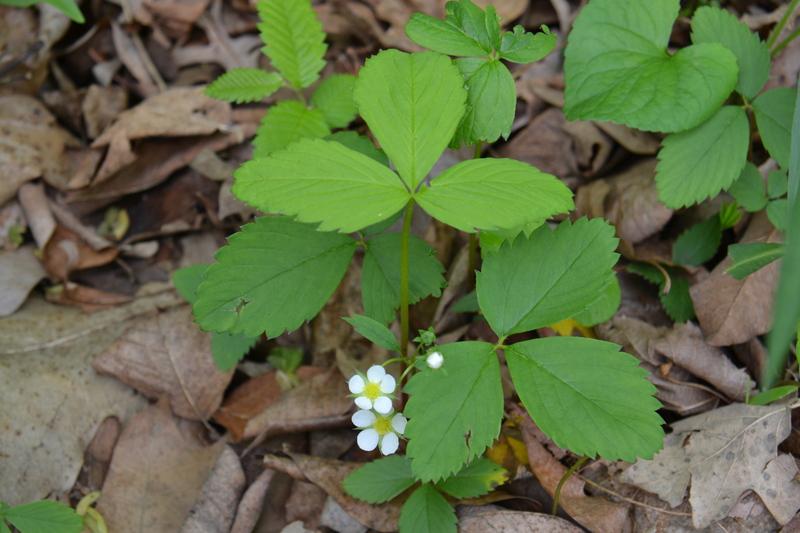 Another 3-leafed plant, which to my knowledge only causes problems for me because I can eat a pound of them at a time, are strawberries, the small wild variety being infinitely more flavorful than the store-bought kind. It’s worth a trip up north to pick them.